Back in the first half of 2015 Apple released the first version of the Apple Watch. The Apple Watch was a long-rumored product, often referred to as the iWatch before its release. At the time, it represented the best attempt that I had seen to provide a compelling smartwatch experience, but it was clearly a first generation product with flaws and shortcomings. It was not unlike the iPhone 2G or the iPad 1 in that regard, and for all the things it did well, there were other parts of the experience that really didn't deliver. While this shouldn't have been unexpected given the nature of first generation products, when a device is surrounded by so much hype for so many years, expectations can begin to run wild. On top of that, certain aspects like application performance were not up to the standards that are expected of a shipping product. 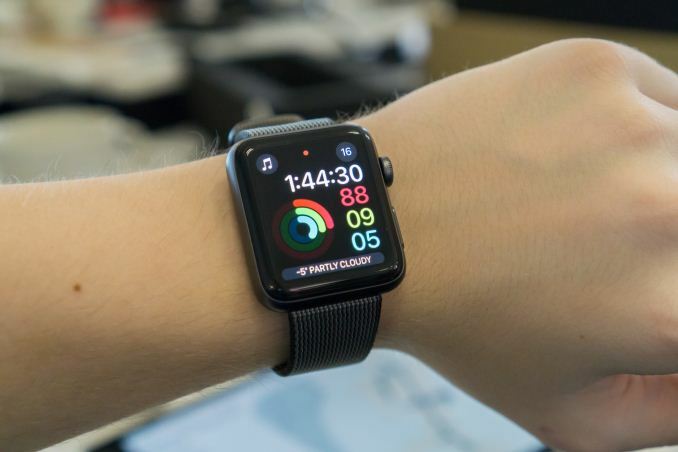 In our review of the original Apple Watch we concluded that it was a good first attempt, but obviously flawed, and that ordinary consumers should wait for future iterations. Jumping to the present, Apple is back with the second generation of the Apple Watch, the aptly named Apple Watch Series 2. The launch of Apple Watch Series 2 comes two years after the original announcement of the Apple Watch. Even when you consider the six month gap between the first Apple Watch's announcement and launch, this still represents a longer time between versions than the yearly cadence that we've come to expect for many other products. Having a product in the market for one and a half years is a good span of time to observe how users are making use of it, what features they are and aren't using, and what parts of the experience create friction. For a first generation product this kind of information is essential to make the necessary improvements in future iterations, as taking the product in the wrong direction could doom its future prospects entirely. In addition to the improvements made in watchOS 3, Apple Watch Series 2 includes a number of hardware improvements. While one might think that specs are entirely irrelevant in a smartwatch, that actually couldn't be farther from the truth. Many of the issues with the original Apple Watch stem from various limitations in the hardware, particularly the slowness of the CPU and GPU. With Series 2 Apple has a chance to address many of these problems. I've compiled a table below with the specifications of both sizes of the original Apple Watch compared to their successors in Series 2. The exterior design of the Apple Watch is clearly something that has been locked in for several generations. As you can see above, Apple has increased the size of watch slightly with Series 2, but it's not something that can really be noticed in practice, and it doesn't break compatibility with existing watch bands which is good news for anyone upgrading from the original Apple Watch. The water resistance of the case is also greatly improved, having gone from the vague "splash proof" rating in the original model to being rated for water resistance up to a depth of 50 meters. The jewelry-focused gold Edition models are also gone, replaced by a ceramic model at 10% of the price. Internally, Apple has made some key changes that have a profound impact on the user experience. The most obvious is the new chip powering the watch. 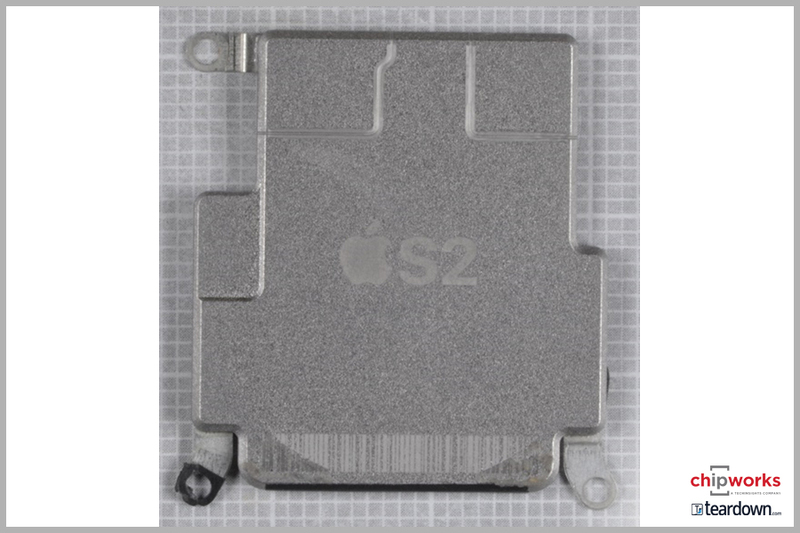 Apple's S2 SiP now has a dual core processor and an improved GPU. Apple rates it as 50% faster for CPU-bound workloads, and twice as fast for GPU-bound workloads. Apple has been known to state smaller gains than the theoretical doubling of performance when moving from a single core to a dual core CPU, and based on some investigation it appears that Apple has simply doubled up on CPU cores, adding another 520MHz ARM Cortex-A7 core to complement the first. Single-core/single-threaded performance appears unchanged, so getting better performance out of the S2 means putting that second core to work. As for the GPU, this is much harder to pin down. It's most likely the case that the Apple S1 SiP used the PowerVR GX5300 GPU, and I suspect that Apple is using Imagination Technologies' newer PowerVR "Rogue" architecture - likely some variant of the G6020 GPU - in the Apple S2. I say variant, as Apple's recent work with GPUs in their SoCs could be indicative that Apple does not need to use Imagination's reference design. Like the S1, the S2 is paired with 512MB of RAM. It's again hard to verify that this is LPDDR3 memory so I've marked that as speculative in the chart. I did want to note that other sources have reported 1GB of RAM for the S2, but I am fairly sure that this is not the case. iOS, and subsequently watchOS, provides an API for developers to query the number of CPU cores and amount of RAM available in the device, and it confirms that Apple has not increased the amount of RAM available in Apple Watch Series 2. Another major internal change is the battery. Apple has increased the battery capacity on the 38mm model by 32%, and the 42mm model by 36%. This will do well to offset the increased power requirements with the introduction of GPS in the Apple S2 SiP. Apple still rates the battery life for Series 2 at eighteen hours, and in my experience you could wear the watch for two days before having to recharge as long as you don't do too many workouts. However, I still charge it each night, and we're still not close to the point where you can wear a smartwatch for a week with both daytime tracking and sleep tracking. The last major hardware change in Series 2 is the display. Apple still uses a 326ppi OLED panel on both models, with the 38mm casing having a 1.32" display and the 42mm casing being a larger 1.5" display. What has changed is the peak brightness. One of the issues I encountered with the original Apple Watch was an inability to see what was on the screen when there was heavy glare. This was even more pronounced on the steel versions that use sapphire glass, which is more reflective than the Ion-X glass on the aluminum models. Apple rated the original Apple Watch displays at 450 nits of brightness, and with Series 2 they claim to have increased this to 1000 nits, which is an enormous improvement. Given that the Apple Watch is still a relatively new product, it's likely that many people have still not interacted with one before. Because of that, and the very personal nature of watches, it's worth covering the design in more detail, and so I'll talk about that next. IMO, I think the wearable craze for premium wearables has/is fading quickly. Full-fledged smartwatches are simply not attractive to the normal consumer. That's not even a fitness tracker, it's basically a digital pedometer. Does it provide notifications? Voice control? Phone call support? Remote control of a phone camera? etc etc?